When we got engaged a little before Christmas, I was one of the earlier “Im Engaged” posts of the Christmas season. Other happy couples started to quickly fill my social media feeds. I couldn’t help but feel happy with each announcement, since I had just experienced the same amazing feeling. 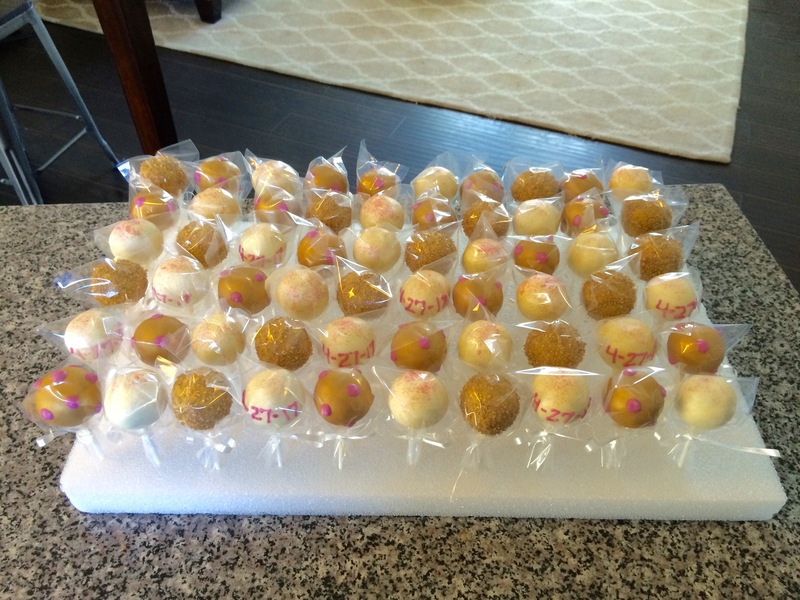 One of those happy couples asked me to make cake pops for their engagement party this past weekend. I was happy to help! She gave me the colors and inspiration picture and I made these! 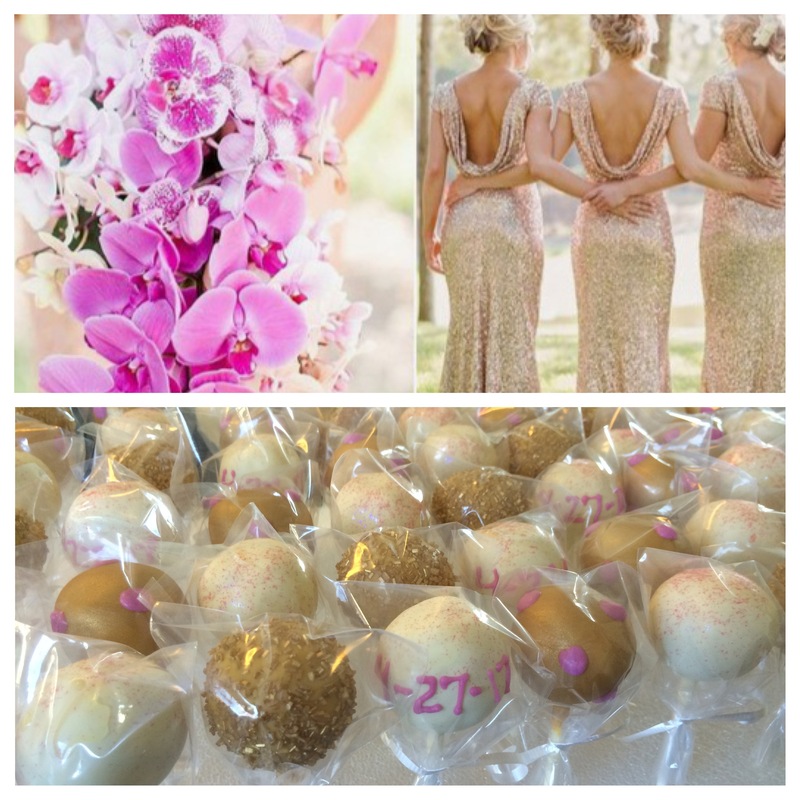 Her wedding colors are Gold, Champagne, and Orchid & it was fun working with beautiful colors so different from the ones I chose. 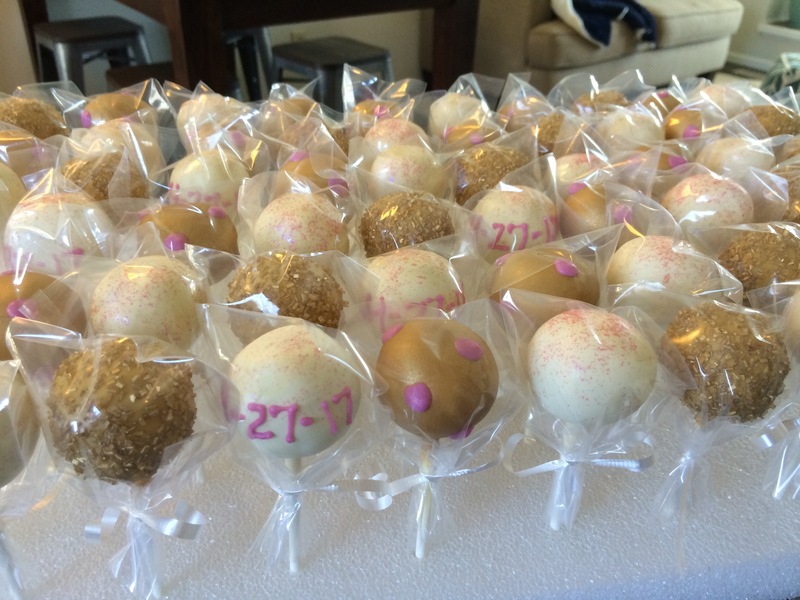 For the gold, I used Super Dust and brushed it on over a gold-yellow cake pop. It is hard to capture the metallic effect of the gold in a picture. I made the orchid color with Bright Pink and purple Candy melt. I don’t know about you all, but I love to look at pictures of weddings. I am getting married a week after this customer and I cannot wait to see what she does with these colors on her big day!